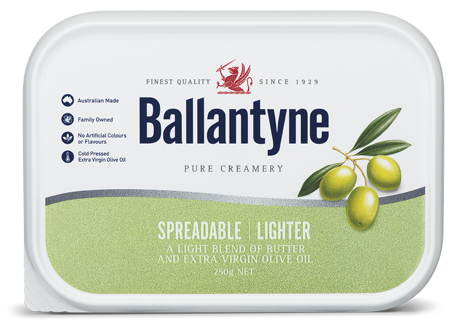 From rows of olive trees swaying under the Australian sun, to your family table, this butter is for those that crave Mediterranean flavour. 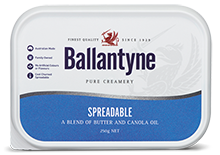 Olive oil crafted from Australia’s leading groves is expertly balanced with the clean creamy taste of our Ballantyne Spreadable range. 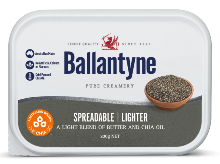 A robust Mediterranean taste will bring out the best in your cooking. 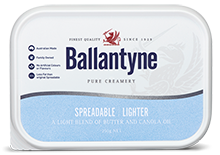 Perfect for fish, vegetables or spread directly onto fresh bread.